The Casa range of four-section profiling beds provides carers with easy patient positioning and treatment, while providing patients with greater comfort and independence. 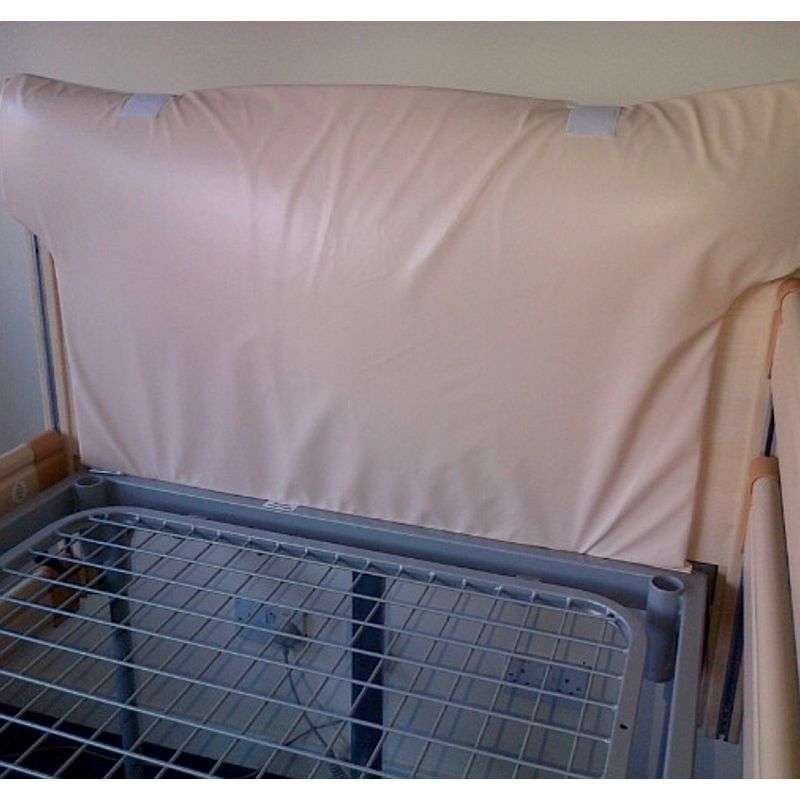 This set of Head and Footboard Cot Bumpers with Mesh helps to prevent patient entrapment and bumps on rails, bolstering the overall safety of the bed. The bumpers are made with a padded CM foam and are easy to clean, ensuring better comfort and hygiene. Some patients are at risk of their limbs becoming trapped within rails of profiling beds, resulting in a risk of injury or discomfort. By completely enclosing the rails, these bumpers ensure that there are no spaces for limbs to become trapped, increasing patient safety. Covered in fire retardant PVC and filled with CM foam, these bumpers provide maximum safety for your patients. To maintain patient comfort, these bumpers are made with a padded and protective CM foam, minimising the risk of painful bumps with the side of the bed. The PVC covering is easy to wipe down and clean, ensuring the patient's area stays hygienic and safe. To get the bumpers set up in seconds, they are easily secured in place with hook-and-loop fasteners.